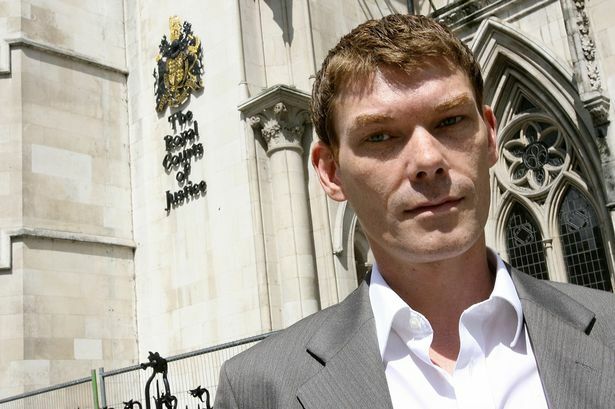 Gary McKinnon has had his extradition blocked by the UK government. He has finally won his 10-year fight against extradition after Home Secretary Theresa May today halted proceedings on human rights grounds. The Home Secretary said medical reports warning the computer hacker would kill himself if sent to the US were sufficient grounds to bring the decade-long battle to an end. It is 10 years since he was first arrested, and his case has come to symbolise a purported imbalance in the extradition arrangements between the UK and the US. McKinnon was accused by US prosecutors of "the biggest military computer hack of all time", but he claims he was simply looking for evidence of UFOs. According to a report, Mr Burrowes increased the pressure on the Prime Minister last night by telling friends he will resign as a member of the Government if Mr McKinnon, who has Asperger’s syndrome, is deported. McKinnon's mother Janis Sharp thanked Home Secretary May for made a life saving decision for her son. "Thank you Theresa May from the bottom of my heart – I always knew you had the strength and courage to do the right thing,"
We wish Gary a healthy life ahead and heartiest congratulations on his win.